Daily Messes: Eugene is Back! Eugene came back on St. Nick's Day. 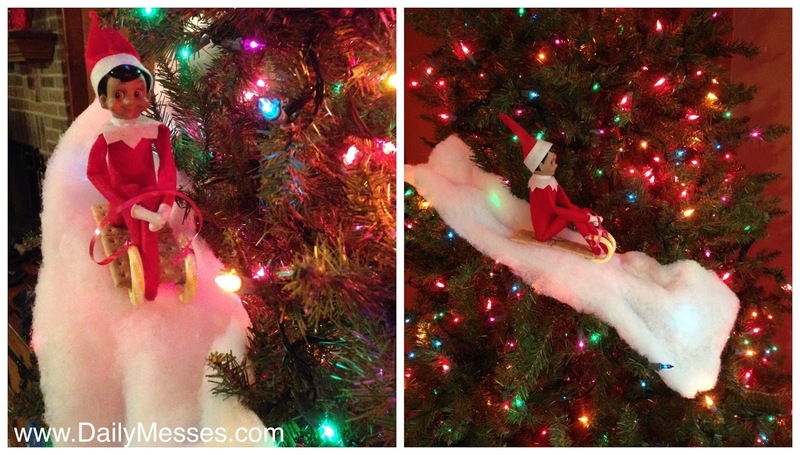 This time he was sliding down the tree! The sled was made from 2 graham crackers "glued" onto two candy canes with icing. A ribbon was tied around the curved part of the candy canes to create a handle. And finally, the snow was a piece of batting!